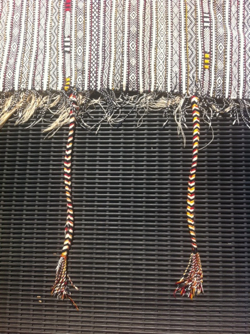 Beni Ouarain Hendira- We just get so amped when an unusual textile comes to us. This interesting tribal piece peaked our full attention. This gem is from Morocco! 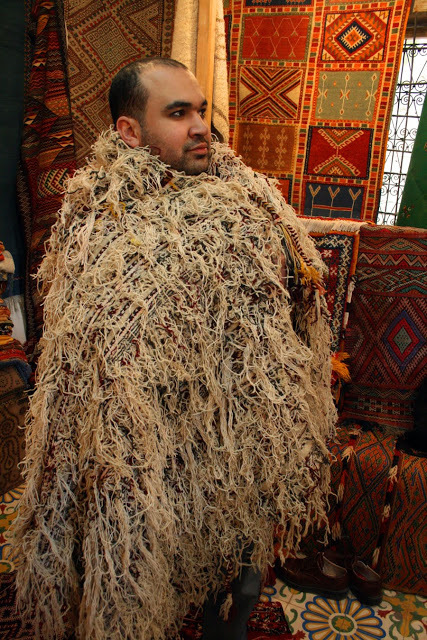 The owners bought it as a rug while in Morocco. 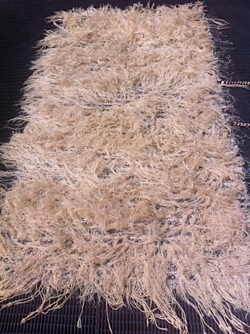 We found they are frequently sold with actual rugs however they will last longer with little or no foot or pet traffic. In this case the owners cat loved the rug a bit too much. The long fiber does feel a bit like long dried grass. 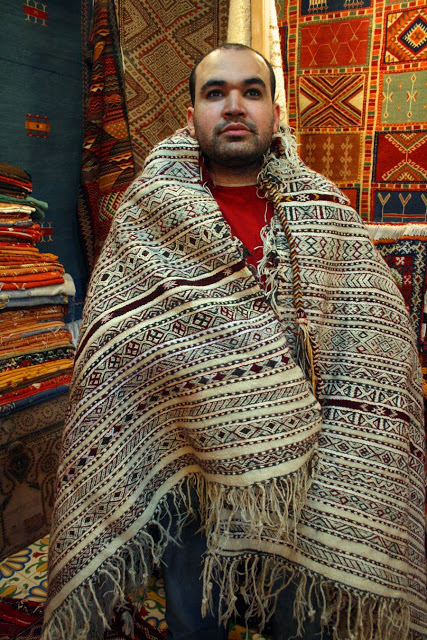 It is traditionally used as a cloak sometimes as a top cover for a bed, a throw for furniture or a wall hanging. 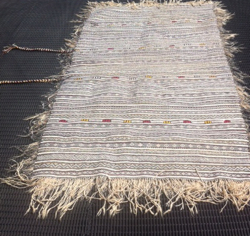 In Morocco, women usually make these for their daughter’s trousseau. It is not common to see them used as rugs. lips). I price very 1-2 coating circles. 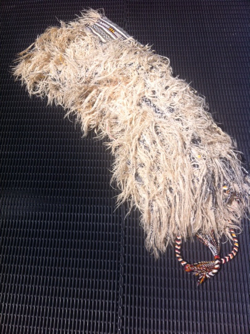 When it is snowing it would be worn with the shag out so the snow would slide to the ground. When it is cold the owner would wear it with the shaggy side closest to their body.